This home has so many custom features! From the large truss construction, entertainers dream kitchen with Open Floor plan, elevator, tons of Real Stone on head to Ceiling Fireplace and concrete floors throughout. When you walk into the kitchen you have Alder soft closing drawers, 2 ovens, one on range, warming drawer, and huge side by side refrigerator. Island and perimeter are beautifully crafted with two different colors of granite and cabinets. 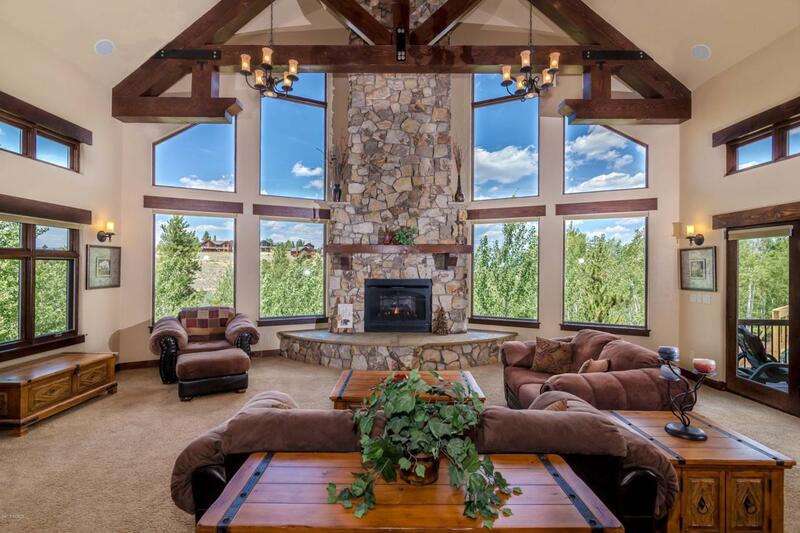 When you walk into the great room the GIANT fireplace is a showcase of property, perfectly framed by large windows that look over the views and great Aspens in Backyard. Property is being sold furnished! The landscaping and property on this home lush and green!